Are you enjoying the Snow bike? This season is blessed also with snow and resort of any place is like perfect condition. The test of ’15 model Snowmoto board (three models) developed since November last year starts. 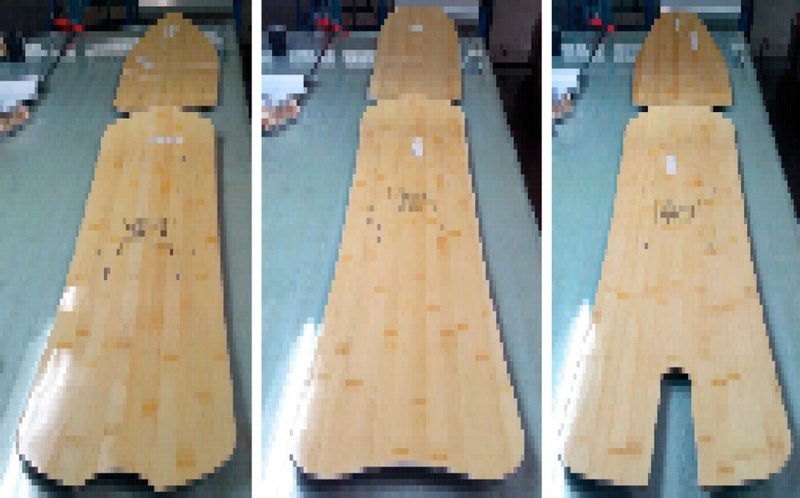 A test board has three types which added the new concept model, and some boards are due to be tested during this season. We are going to make three kinds (soft, medium, hard each one) for board flex, and to try various riding tastes. And ski resorts also tests not only Nagano but the deep snow and the compacted snow of Niigata and Hokkaido. If a test finishes favorably, we will prepare opportunities including a new frame to also test-ride you in mid February.